I'm Aimee! 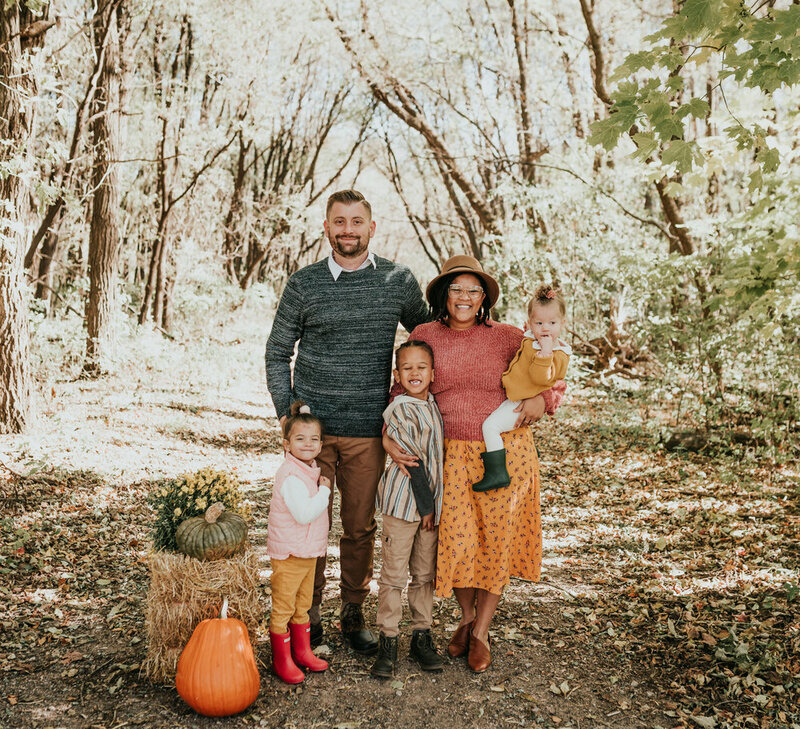 I am a native South African living in Maple Grove, MN with my husband Jake of 6yrs and our 3 kids Makhi, Zoey and Eden. I love creating; it's always been a part of who I am. Whether it's doing DIY projects at home or refinishing furniture and props for the studio, I usually keep a hammer and glue gun nearby! I consider myself a tomboy at heart, but my background in the beauty industry has influenced my style of photography. I love bold, dynamic colors, but with a whole lot of soft and natural light. Most of my sessions feature the "effortless" feel of Lifestyle photography but I'm not afraid to do more "posed" studio work as well - which you will see a lot in my newborn photos. Overall my hope is that as you view my work you will be reminded of the people and things you love most. "OMG!! Aimee Brown Barnett was fabulous... Everyone just loved her from start to finish she was just snapping away... Our pics came out beautiful!! !-Minneapolis bride"
Aimee was amazing. She was polite, on-time, and able to navigate my crazy family during my surprise photo shoot. The pictures were beautiful, and I was able to view them quickly. If you're looking for a local photographer, or simply pumped to support a black business, you've found the right one! I've already sent a few friends and family her way. I just can't say enough good things about her! Thank you our pictures are amazing!- Ariel"
"Aimee was great! She was so understanding when we my husband and I were running behind for our maternity shoot, able to recommend a makeup artist to me when the one I'd booked fell through, and was very professional throughout the session. She had a quick turnaround. We took pictures on Saturday afternoon, and I had high-resolution, edited images in my email by Monday night. I would highly recommend her for your photography needs." "We love Aimee. She is so great with my toddler and she takes pictures that are only worthy of framing all around my house."